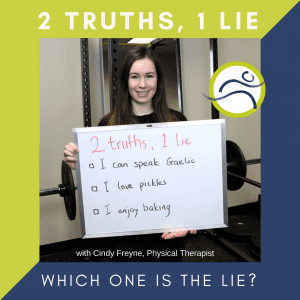 Leduc Physio; Our Staff: 2 Truths, 1 Lie - Kim H.
Leduc Physio - Physical Therapy and Massage Therapy ServicesPhysiotherapyUncategorizedKim Lied! 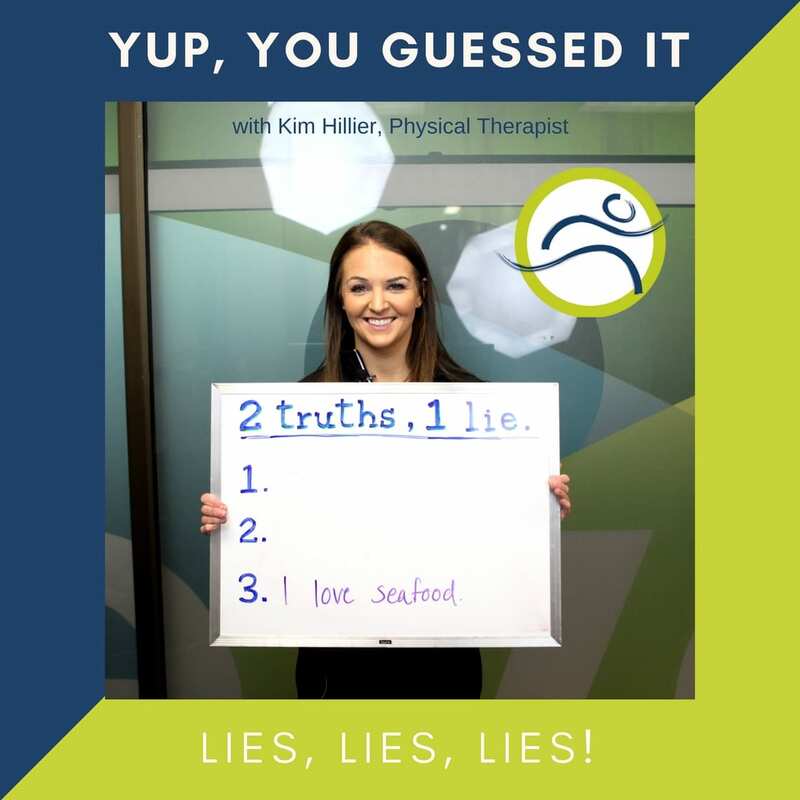 Kim lied about #3! Even though she is from Newfoundland, seafood isn’t on her list of favorite foods! 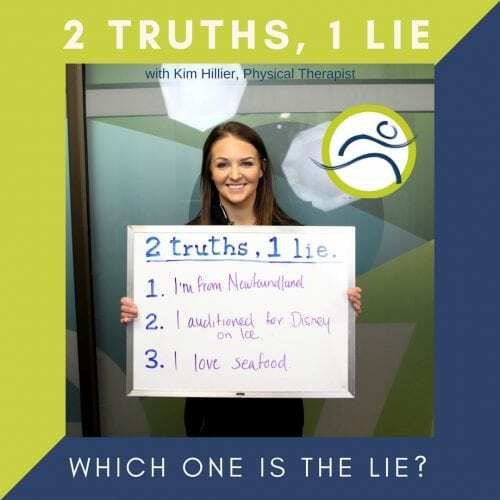 Kim Hillier is one of the physiotherapists at Leduc Physio. If you would like to book an appointment with Kim, book online HERE, or give us a call at (780) 980-5443. See if you can find Cindy‘s lie…. GUESS away! Gel Packs on Sale for August! Get your NormaTec punch pass NOW! Only $85.00!